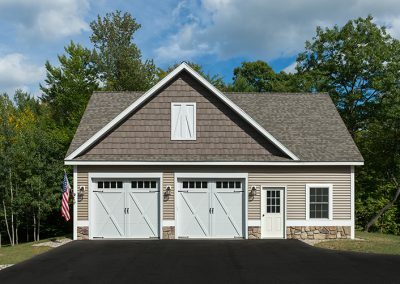 A home remodel with the new construction of a 28’ x 36’ detached garage. 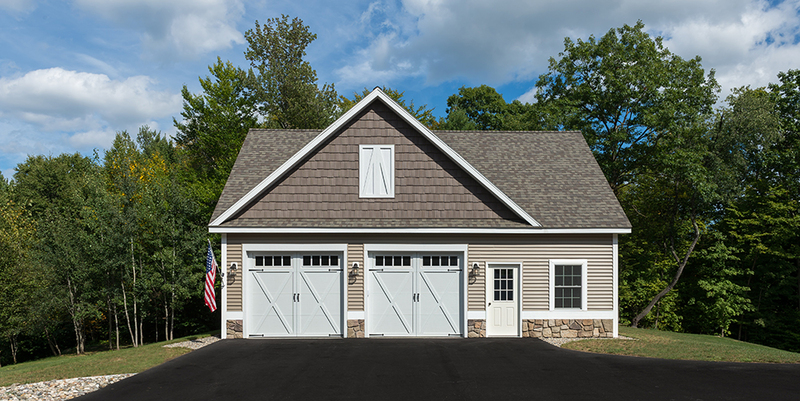 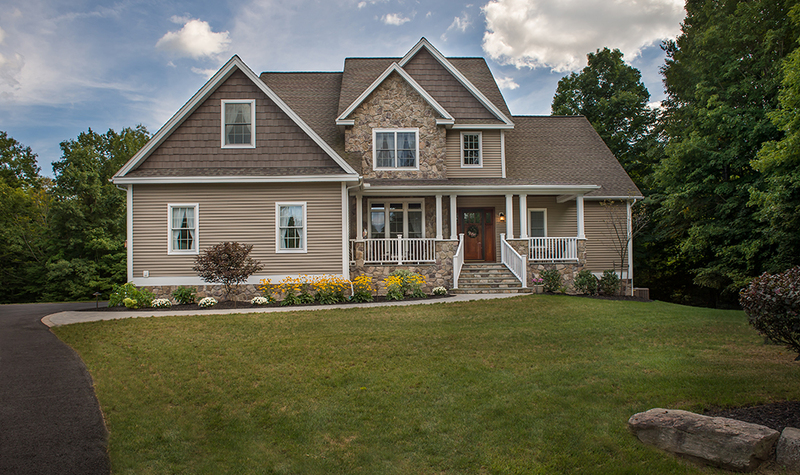 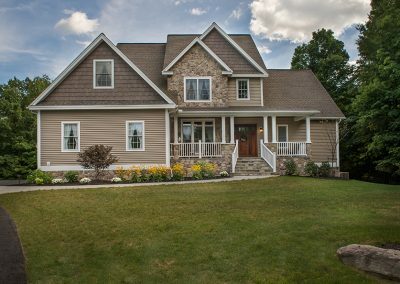 The exterior of the home and garage are finished with Certainteed Monogram Vinyl Siding, Cedar Shakes and Cultured Stone façades. 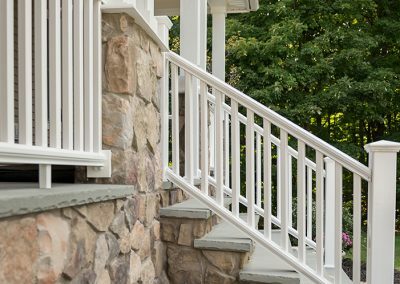 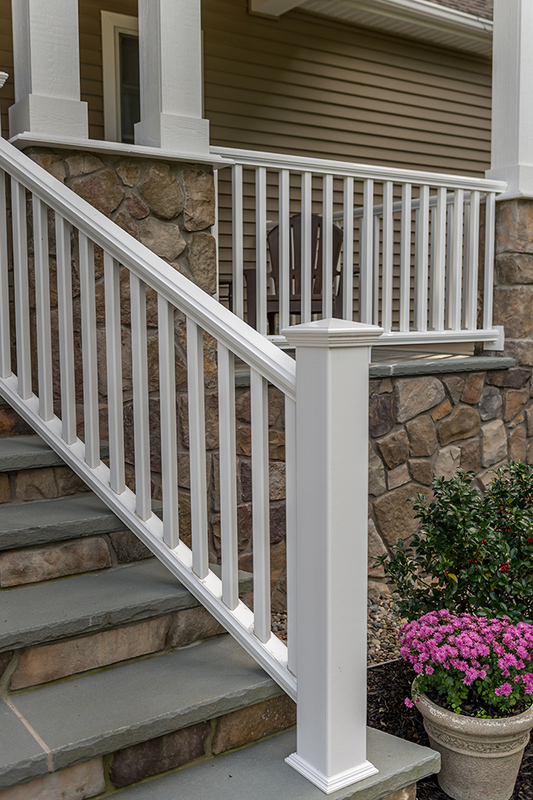 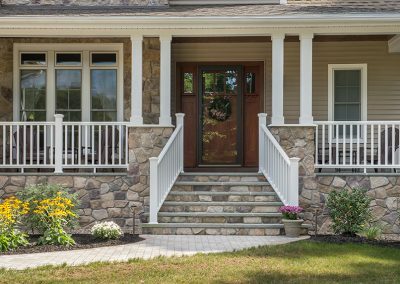 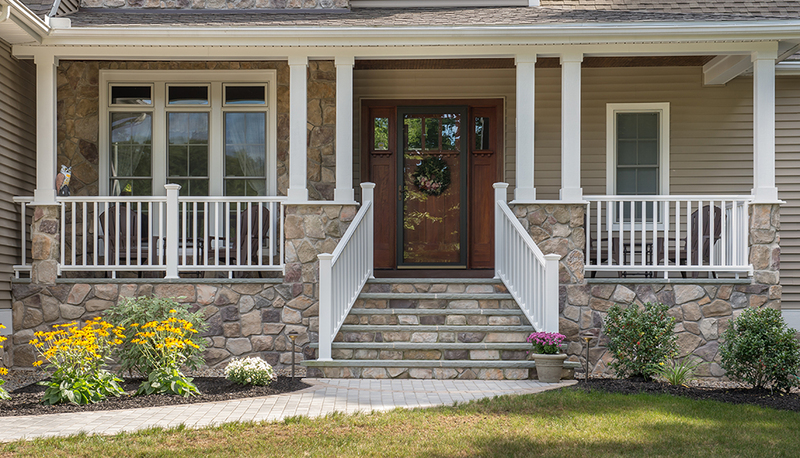 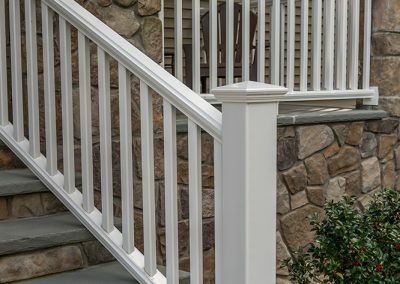 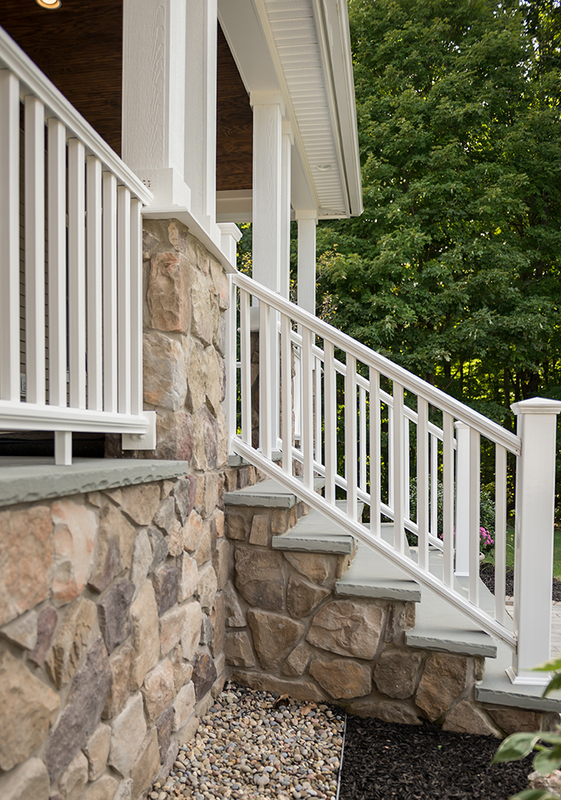 The front porch has Miratec columns, Bluestone steps and Trex Composite railing system. 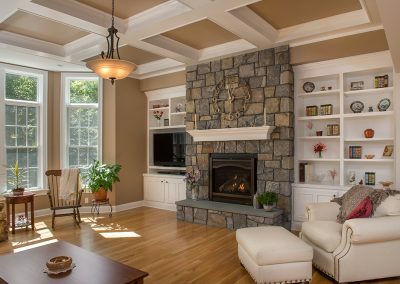 Inside the living room is a Heat & Glo Gas Fireplace with a Bluestone hearth, painted wood mantle and stone veneer surround. 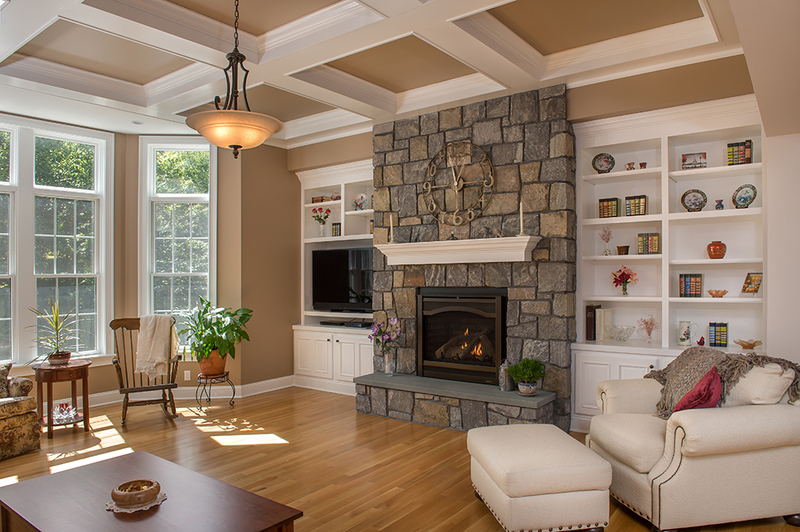 Custom living room built-ins and coffered ceiling refinishing make up some of the many details of this living room. 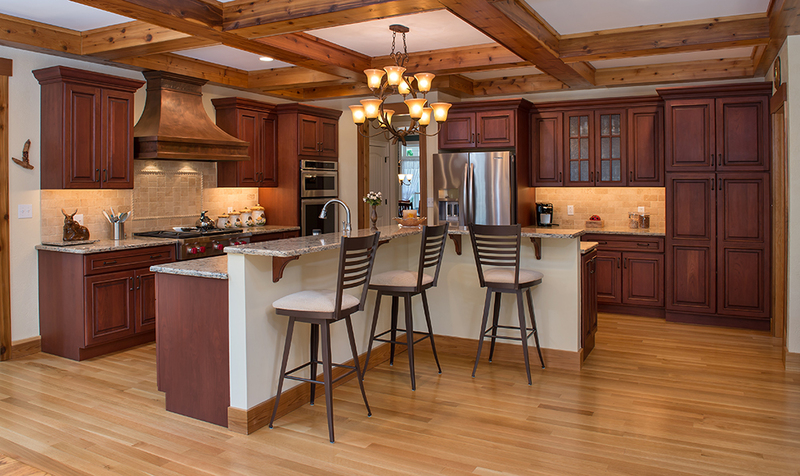 Throughout the home brand-new quarter-sawn 3” White Oak hardwood flooring was installed. 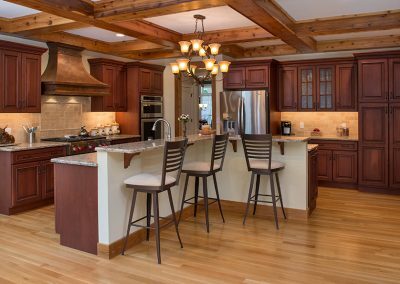 The spacious kitchen has Bertch Craftwood Cherry cabinets finished with a black glaze and a Cambria Bradshaw granite countertop. 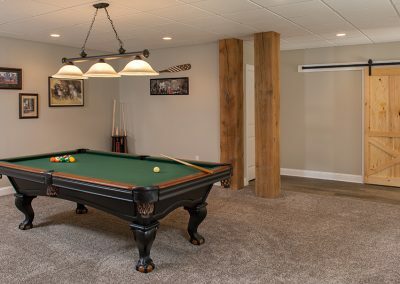 The basement has been finished with a plush carpet, suspended ceiling, gas fireplace, half bathroom and custom barn door. 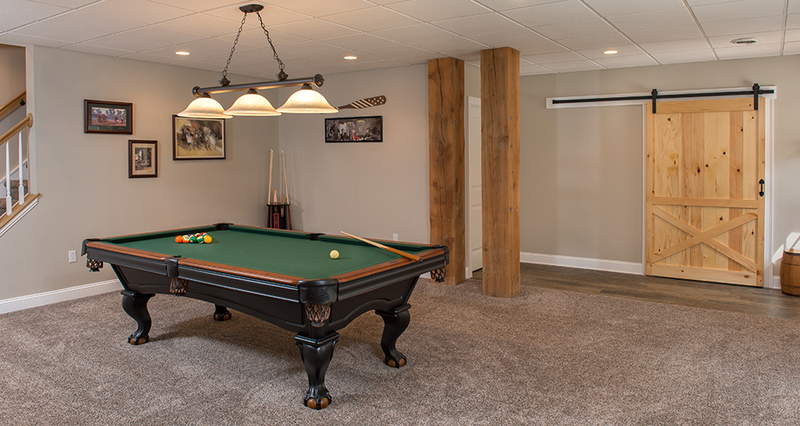 The entry of the walkout basement has Sequolo Moro Rock Glazed Porcelain Rectified 6”x 36” ceramic tile.